I have copied from today’s DoC daily report. I will post the daily reports here. At 11.50pm Monday 6 August a short eruption occurred on Mount Tongariro at the Te Maari Crater. This is on the northern flank of Tongariro approximately 1.5 kilometres from the Ketetahi Hut. The eruption produced a localised ash cloud and material was ejected from the craters to about 2 kilometres. The ash cloud was localised, but small amounts of ash were blown as far as Napier. Rainfall has meant that ash has made it into streams and waterways. I was aware that there was more pumice than usual in the river next morning but today the river looks great. I was pretty gloomy last week I was told. This afternoon I went to have a look at the works on the river. I met Steve Cullen fishing Larry’s Pool. Steve had a nice fish of about 3 lbs. He was able to nymph without too much difficulty through this top of the drain pool. Why Larry’s Pool? 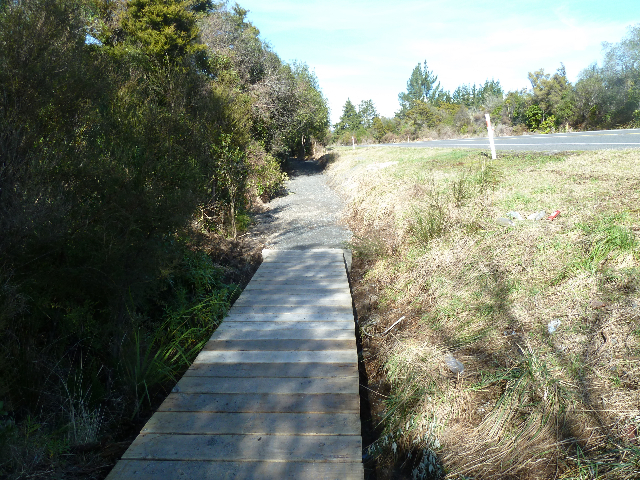 Larry Grigg was the (Waikato Regional Council) WRC engineer responsible for overseeing much of the work here. Larry retired his position with WRC during this week. He was a good man who took a lot of flak for the flood protection work being done here. With a smile on his face he suggested the pool at the top of the drain be called Larry’s Pool. I thought it appropriate. Steve Cullen agreed with me that the week before had been hard. He offered the opinion that there were a few more fish this week. What he had caught was an OK fish. The eruption is a reminder of the power of nature. The works on the left bank of the river below the Swirl Pool has changed since I last reported on this section. We need to remind ourselves that this work is being carried out under the gravel extraction consent process and that we had the opportunity to state our opinions prior to the consent being granted. When the consent was granted and work began and anglers and others saw what was happening there was much disapproval with particular reference to the loss of the braids. 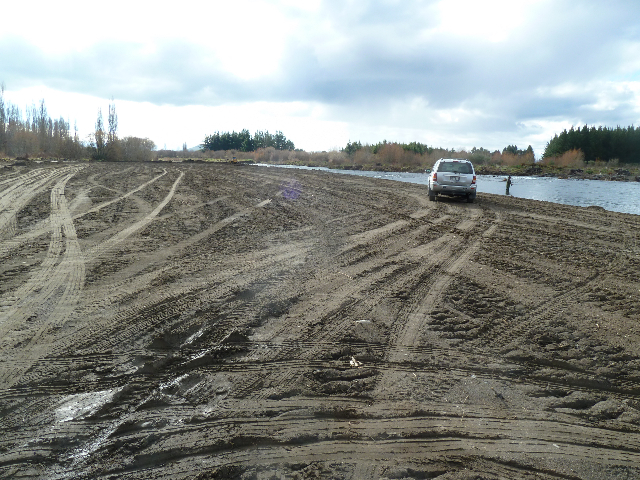 The work was to remove the sediment which had built up in this area and move it away from the river. It is worth remembering that this material is volcanic ash from the Ruapehu eruptions of 1995 and 1996. There is still a huge amount of ash to be swept off the slopes of Ruapehu into the Tongariro River when we get heavy rain events from the North. The area that looked a mess a month ago has had the logs which weren’t sawn up by locals for firewood, have now been buried and the land leveled and flattened ready for planting. The plants I understand will be low growing so as not to impede flood flows. I asked the workmen this afternoon what feedback they were getting from anglers. They told me that the feedback was positive. The anglers liked not having vegetation to catch their back cast. They were catching fish and were generally happy. There has been a significant change in angler opinion. My report here is from what I have been told. I haven’t tried to fish this piece of water. 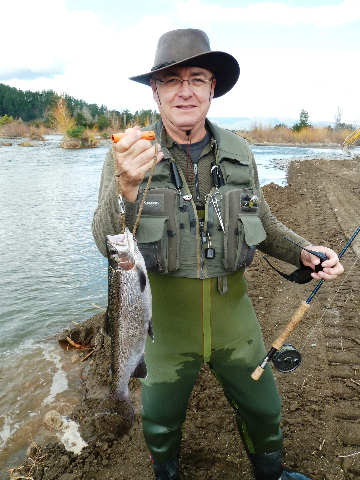 Removal of stumps in the bed of the river may be removed but not until the spawning runs are completed. It has been a big week in the development of the trail. The Department of Conservation has cut the major section of their part of the track. This means that the trail is almost connected. Hopefully Mt. Tongariro will behave itself over the next 2 months and allow DoC staff to complete their section. 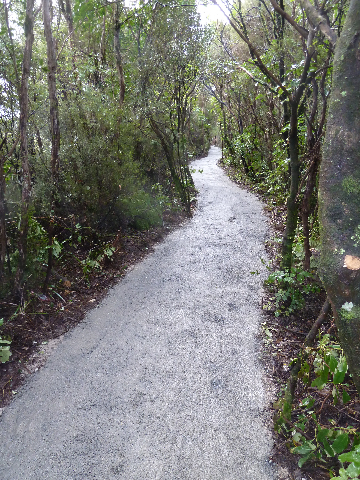 I am pleased to report that our section of the trail is almost completed. There is some fine tuning to be done which can happen when the persistent rain stops and allows drying of the area. I received a home made video from 3 keen Taupo riders who rode the track in mid July when the track was in an early stage of development. It gives a good idea of the trail. Action the video from the home page. 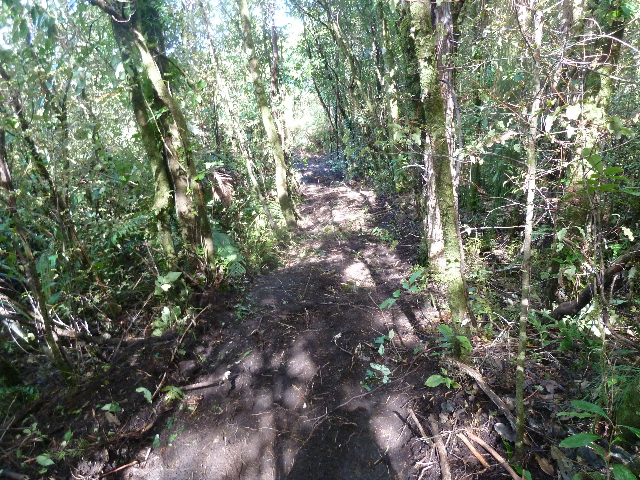 I have only walked the trail and really enjoyed walking through the bush. The video gives a cyclists view which looks very different. The two key problems we need to solve are the low lying section at the corner of State Highway 1 and Admiral’s Pool road which has flooded when we had 100mm in 24 hours, and the steepness of the track at the southern end. They are the issues we identify at this stage. 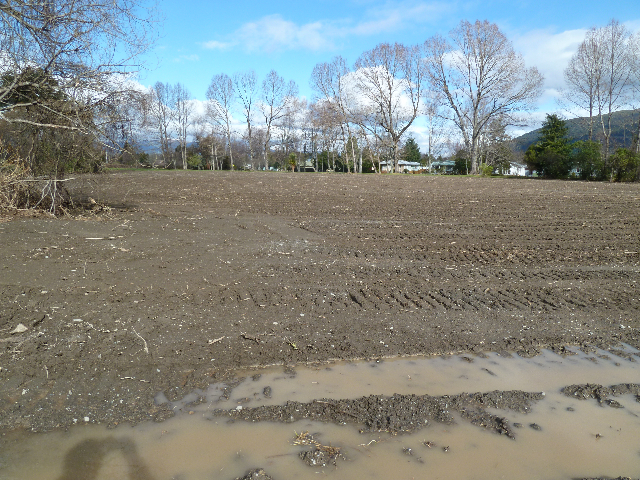 I would like to thank the track crew of Turangi locals, Ben Scrimgeour, Sierra Tulloch and Neihana James Tawera for their effort. They simply got on with the job ahead of them and gave a good honest days work mainly in cold, damp to wet conditions. They took pride in their work. Winter and spring are being experienced at the moment. Snow is on Pihanga and on the Kimanawas. It was pouring with rain at 4.00am this morning. But for much of the day it has felt warm and the sun has been shining. Summer didn’t show itself but spring certainly did. Sunday mornings interview by Chris Laidlaw of Alistair Bisley on National Radio, Sunday morning should be interesting for those with an interest in fresh water use in NZ. I will link the podcast when it becomes available.